I'm not sure I going to convince my other half to take Christmas card photos with me, but if I am successful, this is what I'm wearing! 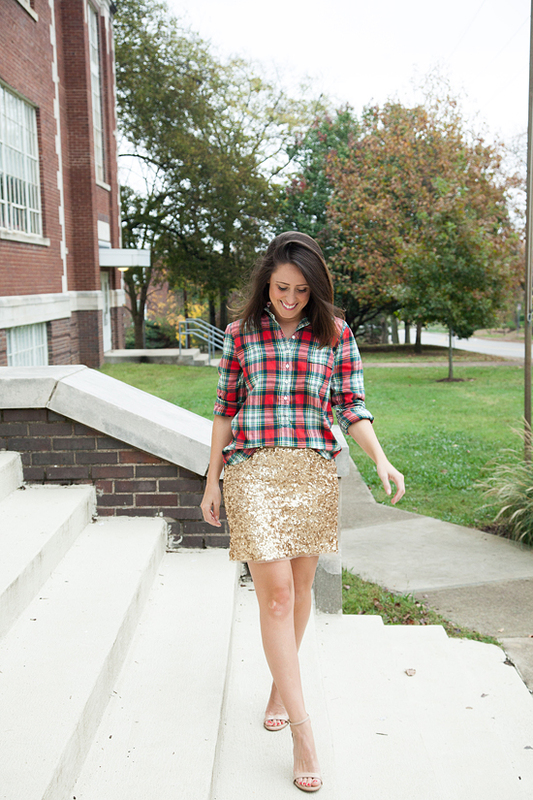 I just can't get enough of plaid or sequins, so this combo is a favorite of mine. I've had this sequin skirt for years & am always surprised by how much I wear it each Fall/Winter (see the 5 ways I've worn it on the blog here). 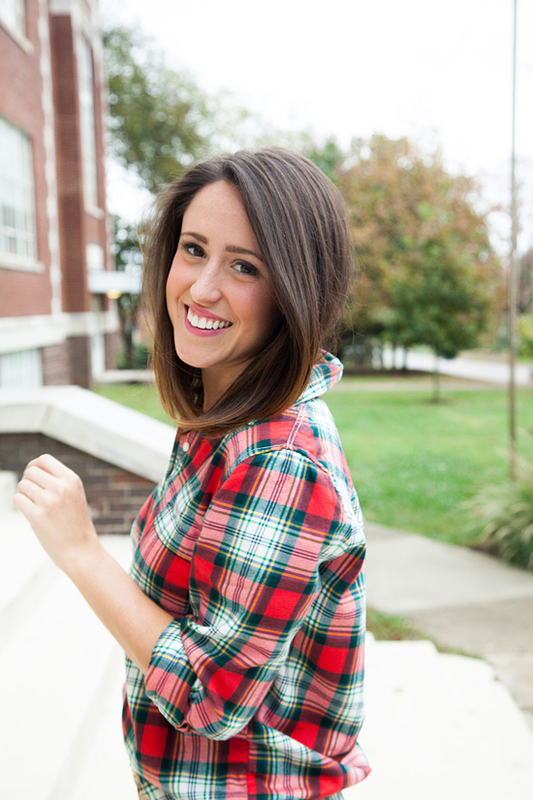 Last month I picked up this plaid popover top from J.Crew Factory & it has the perfect colors to be either casual or a fun Christmas party top with pencil skirts/slacks + it is super soft. The weather is sure to turn chilly soon, & I'm already imagining this outfit with tights + booties! Time to bundle up y'all! Not a skirt gal? Try a fun pair of sequin leggings! Love the chunky sequins on this pair!